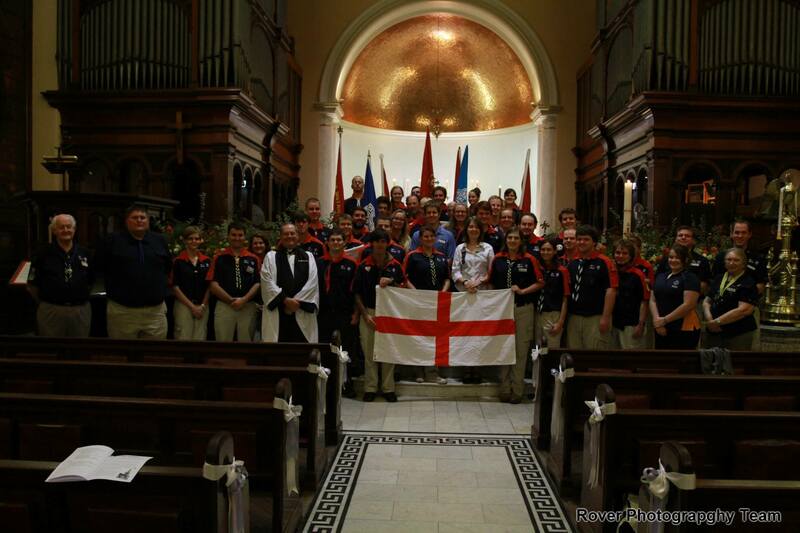 St George is the patron Saint of Scouting and so every year on the 23rd of April Rovers lead the NSW Scouting community in remembering the legacy of St George. Traditionally there is a church service held at St James Cathedral in Sydney however the event does not have to be held in a church. In the past the day has been marked by holding a "Scouts Own" in Hyde Park. As part of the traditional Service Rover Crews are invited to bring their Crew Flag to be blessed in anticipation of a successful year of Rovering.